11.5 million people read a local newspaper but do not read a national newspaper. Local media websites attract 79 million unique users per month. Over 60% of people act on the ads in local newspapers. 33 million people per week tune into local commercial radio. 207 community radio stations country wide. There are 19 local TV stations. Local newspapers and their websites are key to local communities. They cover the stories that are so often vital for people’s day to day lives and yet sometimes too local for the national news agenda. At the same time they often break big news items before the nationals because they are simply closer to the story. Local media sits at the heart of local communities, championing local causes and values, and holding local government and big business to account. Effectively target regions, cities,towns and even individual communities without a broad brush stroke approach of national media or the vagaries of IP targeting. Positively link brands to what is most important to their consumers: where they live. Reach people who do not engage with national press but represent a key local market that needs to be tapped. 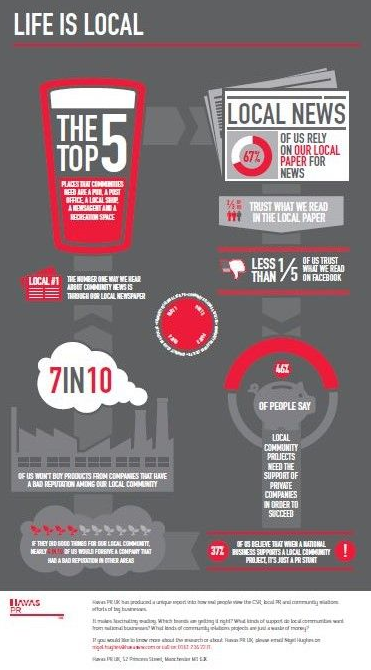 themselves in the local community"
67% of people rely on their local newspaper and associated websites for news. Make sure that your brand is reaching its local audience. 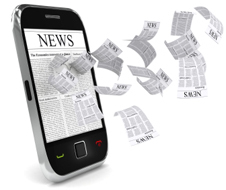 Local newspaper sites are fully embracing mobile to ensure that they are enabling local audiences to consume their media in whichever way they wish to, at any time of day. It is no longer the case that if you miss today’s newspaper you miss today’s news. You don’t have to be sat at your desk to access a local newspaper website. Local World newspaper sites see up to 50% of traffic coming from mobile devices (tablets, smartphones, phablets) at weekends, and all newspaper sites are now optimised to be read on IOS and android handsets. Local newspaper brands can help you to reach your target audience via all three key touch points – print, web, mobile – getting the same rich experience on each. With the continual rise of the mobile audience, brands need to make sure that they are ready with mobile creative and mobile optimised sites and don’t miss off this vital medium from their media plans. While social media has grown to become a vital component of our lives, local media are still trusted to a much greater degree than Facebook to find out what is happening in your local community, according to research from YouGov Sixth Sense commissioned by Havas PR UK. “Social media has a prominent place at the table but marketers run the risk of over-hyping it as a solution. Brands need to realise it’s not a one size fits all tool for reaching every demographic. The impact of marketing through social media is beginning to bear fruit but there are inherent dangers for your brand: social media is a volatile place and brands can be negatively impacted by the inability to control people airing unpleasant and offensive views online. Remember: consumers have high levels of trust for local media, and attach that trust to the brands that advertise within them.